Join Preserve Louisiana with host Peggy Sweeney-McDonald for our 4th Cultural and Architectural tour as we head down the Zydeco Cajun Prairie trail from Rayne to Crowley with stops in Robert’s Cove, Branch, Church Point and Richard, Louisiana. Charming French Acadian natives will be our guides through the Grand Opera House, the Historic Moto Co./City Hall, the Historic Rice Theatre, La Vieux Presbytere and the Maison Daboval House. We will experience the German Heritage Museum, Mouton’s Music Store where French accordians are made, see the world famous Rayne Frog Murals and even stop by a Cajun Mardi Gras Costume shop. Our taste of Acadia will include lunch at Chef Roy’s Frog City Cafe and Kelly’s Landing with our dinners in Lafayette at Prejean’s Cajun Restaurant featuring Cajun Music on Friday night and Ruffino’s on the River Saturday evening while enjoying the Meanwhile, Back at Cafe Du Monde… live show with local foodies. Don’t miss out on this adventure full of Louisiana history, cuisine and fun in Acadia Parish USA! Price includes all tours, meals including glass of wine or beer with dinner, transportation, snacks and bottled water. Our Preserve Louisiana Group in October, 2018 at the Steel Magnolia House for a tour and mint julep party! Saturday April 6th 2019 7-10 p.m.
Join Preserve Louisiana in welcoming Brian Davis from the Louisiana Trust for Historic Preservation. Doors open at 6:00 PM for appetizers and wine before the lecture. We’ve all seen them in our cities and towns and on the edge of fields - abandoned historic buildings covered in vines and broken windows. With little hope of improvement, they often deteriorate to the point of collapse or are demolished, leaving voids in our history. The Louisiana Trust for Historic Preservation (“LTHP”) a statewide revolving fund program in 2015 to save endangered historic buildings and sites. The nation’s first revolving fund program began in 1958 when Historic Charleston Foundation began an effort to save six blocks of that historic city. That program helped transform Charleston into a vibrant city with one of the strongest tourism industries in the nation. Today, approximately 65 preservation organizations operate similar programs on a local and state-wide level. Collectively, these programs have saved thousands of historic buildings, increased surrounding property values and revitalized communities. Preservation organizations like LTHP use their revolving funds to acquire historic buildings through donations, purchase or options. These distressed properties are stabilized, marketed and sold with protective covenants, which will insure their historic character is maintained for generations to come. The new owners then rehabilitate the buildings so they may be used and appreciated once again. Join Preserve Louisiana in welcoming Bob Winans and Steven Kleinpeter for our closing reception for the Fonville Winans exhibit. Celebrate Valentine's at the Mansion! Earl and Blanche Long invite you to Love Letters at the Old Governor’s Mansion on February 13th and 14th. Following a welcome by the Long’s to the Mansion, Peggy Sweeney-McDonald and Scott Jefferson, along with director Perry Martin will present A.R. Gurney’s award winning play, Love Letters (presented by Dramatists Play Services, Inc. of New York) on Wednesday, February 13th and Thursday, February 14th, 2019. The show will benefit Preserve Louisiana. Doors will open at 6:45 PM and the show starting at 7:30 PM. There will be a cash bar before the show with champagne and desserts served during intermission. Lynda and Cliff Normand, long time docents of the Old Governor’s Mansion, will play Earl and Blance Long and share tales of the Governors who resided in the Mansion. Sweeney-McDonald and Jefferson first performed Love Letters twenty-five years ago in New Orleans after appearing in the Tennessee Williams play, Summer and Smoke the same year. In 2012, Jefferson appeared in Meanwhile, Back at Café Du Monde… the popular food monologue show created by Sweeney-McDonald. Jefferson’s food story also appears in the book authored by Sweeney-McDonald which was published in 2012 by Pelican Publishing. They are excited to reunite and reprise their Love Letter roles for these special Valentine’s Day performances. You are cordially invited.... to crash this wedding!! This event is designed to allow the bride and her entourage to visit the Old Governor's Mansion as a guest at a real wedding reception. Sample delicious foods from our deluxe caterers. Sip on a refreshing "Something Blue" martini. View new trends while watching our mock "Bride & Groom" dance their spotlight dance, cut the cake and toss the bouquet! The first 50 brides will receive a special tote bag with all the vendor information! *Vendor space is available but very limited ~ please contact Allie at weddingsbyallie@yahoo.com for more information. Join author, Randy Harelson as he discusses his book Margaret Stone and the Native Flora of Louisiana; 1976 to 2018 and Beyond. Randy Harelson with the Friends of Margaret Stones helped LSU Press develop a brand-new special edition folio of the Native Flora of Louisiana. Stones, a world-famous botanical artist, created 226 full-color watercolor drawings of wild plants from 1976 through 1991. Randy will tell the story of the artist, LSU, and the community that rallied to support the project over 40 years. Randy Harelson is an artist, writer, horticulturist and educator originally from Baton Rouge, Louisiana. He has lived in New Roads since 2006. Join Preserve Louisiana at the Old Governors Mansion for our Cajun Night Before Christmas for the Festival of Lights in Downtown Baton Rouge! Meet and take pictures with Papa Noel and the Frozen Princesses - Elsa and Anna. The Cajun Night Before Christmas will be read by our storyteller - Cleona Parisi and the book and mini-ornaments by Pelican Publishing will be available for purchase. Author Peggy Sweeney-McDonald will be signing her Coffee Table/Cookbook, Meanwhile, Back at Cafe Du Monde… Life Stories About Food. Bring your kids and join the festivities! Join Yelp, Inc. for an unforgettable evening filled with ethnic eats, sips and entertainment represented by local restaurants and businesses. The festivities ignite on Thursday, November 15th from 7:00-10:00pm to celebrate the 3rd Annual Yelp's Worldly Eats event. 100% of the funds raised from the event will benefit the Preserve Louisiana organization. This year's focus will be on the history and rise of ethnic cuisine in the capital city. The suggested donation is $20 per person (through Preserve Louisiana's website) or $25 per person at the door (depending on availability). We hope to see you at this fun-filled community to take place at the historic Old Governor's Mansion. This event is for age 21 and up only. This YELP event sells out each year so ticketing highly recommended. Join us on All Saints Day / Dia de los Muertos as we hear about hauntings of Louisiana. Facilitator Karen Kaprowski-Stout will delve into how paranormal stories can engage people in history, and we’ll hear about first hand accounts of paranormal experiences at the Myrtles Plantation and San Francisco Plantation. Audience participation will be encouraged! Share your stories! Join Preserve Louisiana on our 3rd Architectural & Cultural Tour hosted by Peggy Sweeney-McDonald creator of Meanwhile, Back at Café Du Monde... as we journey to the beautiful "Steel Magnolias" town of Natchitoches, Louisiana on Friday, October 26th thru Sunday, October 28th. Established in 1714, Natchitoches (Nack-a-tish) retains its European flavor through the architecture, heritage and lifestyle. At the heart of this National Historic District lies Front Street, a brick thoroughfare where wrought iron balconies, restaurants and shops face the Cane River Lake. This year Natchitoches celebrates the 30th Anniversary of the Steel Magnolias film that brought international attention to this lovely town. We will visit the film locations, including a tour of the Steel Magnolia "Home" with a mint julep on the front porch with owners Dan and Desiree Dyess. We will also tour Oakland Plantation, Melrose Plantation, Fort St. Jean Baptiste Museum, the downtown historic district, the Louisiana Sports Hall of Fame and more. Dining will include breakfast each morning at the Chateau St. Denis in the heart of downtown, lunch at the famous Lasyone's Meat Pie Restaurant, Friday evening dinner at Mama's Oyster House, a catered lunch on Saturday in a rustic barn at Melrose Property and dinner Saturday night at Merci Beaucoup downtown while enjoying local personalities sharing their food stories in the Meanwhile, Back at Café Du Monde... show. Tour price includes two night stay at Chateau St. Denis, transportation on luxury coach bus, all meals, snacks and tours. For more information, pricing and registration call Peggy Sweeney-McDonald at 310-709-2851. Registration will begin July 26th. Join us for our October Heritage Lecture with guest Michael Desmond, Architect, Professor of Architecture at LSU and the Author of The Architecture of LSU. Refreshments hosted by Colandro’s Supermarket will be served before the lecture. A unique, festive monologue event about the 2nd universal language - FOOD, and how our lives revolve around it. Creator/Author Peggy Sweeney-McDonald will emcee the show with food stories by Crawfish Extravaganza Hosts - Alice and Bobby Dupre, President and CEO of Dialogue on Race Louisiana - Maxine Crump, Author of Yellow Jack - Rene Uzee, The Cake Ball Queen/Owner of Brew Ha Ha - Gabby Loubiere Higgins, and Preserve Louisiana Executive Director - Fairleigh Jackson. Enjoy refreshments before the show with a cash bar for wine and beer. Doors Open at 6:30pm with the show beginning at 6:45pm. Author Matt Isch will join us to discuss our celebrated historic neighborhood in the heart of downtown. Join us for our annual Preservation Awards to celebrate successful cultural and architectural preservation projects completed around our state. This year's event will be held at the Mansion and we will celebrate Huey P. Long's 125th birthday! Harriet Swift will present this informative lecture on the Italian history in the mid city area of Baton Rouge. The yearly event will be enriched with educational exhibits, walking tours, cannon and gun firing and a wreath laying by the United Daughters of the Confederacy. Historic Magnolia Cemetery's Chairman, Chip Landry, will also discuss the life of John C. Breckinridge. Lecture begins at 10 a.m. Although Fonville Winans is internationally recognized for photographing Grand Isle’s Depression-Era Cajuns and Baton Rouge brides and debutantes, he was also as an excellent cook. Fonville’s daughter-in-law, Melinda Winans, recently collaborated with Cynthia Nobles, cookbook author and editor for LSU Press, to publish Fonville’s biography and over 100 of his original recipes. Join us as we sample recipes from the new cookbook and learn more about the fascinating life and photographic works of Fonville Winans. Following the lecture, join us in the Rose Garden for signature cocktails and the tunes of Harvey Knox & Friends. Please join us for the after party with Lil Jimmy Reed at Driftwood Cask & Barrel at 9:30 pm. Join us for our latest Lagniappe Lecture on Irish culture and history in Louisiana. Guests will be welcomed by the traditional Irish sounds of Kitchen Session of Baton Rouge, and the evening begins with a lecture on the history of the Irish in Louisiana. Dr. Laura Kelley, historian and author of The Irish in New Orleans, will discuss the history of the Irish in the region from ‘Bloody’ O’Reilly in the 18th century to the Irish-dominated politics of the 20th century. Following the lecture, guests are invited to experience and enjoy Irish music by Surf Vibes and dancing by Muggivan School of Irish Dance, food generously provided by the Louisiana Culinary Institute, and spirits provided by Happy's Irish Pub in the Rose Garden of the Old Governor’s Mansion. Doors open at 6 pm and the lecture begins promptly at 6:30. Entertainment to follow. Preserve Louisiana members are $25; non-members are $35. Many thanks to The Lucky Law Firm for their support of this event! Preserve Louisiana has partnered with Of Moving Colors to bring a new style of dance to a historic landmark. 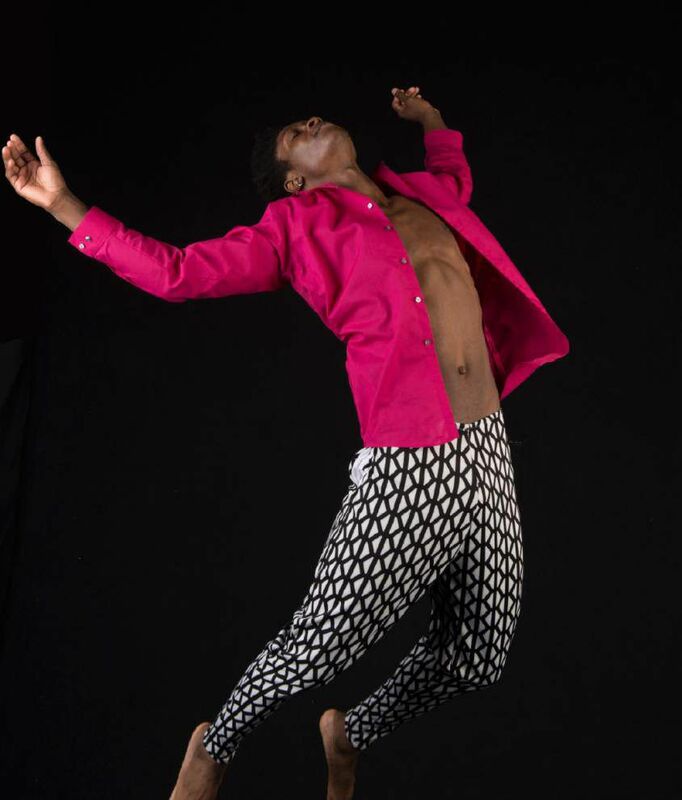 Master classes will be taught by company dancer, Julian Guillory. The hip hop workshop will be held in the East Room of the Old Governor's Mansion. For more information, visit www.OfMovingColors.org/comingup or email tellus@ofmovingcolors.org. Come travel, tour and taste the Cajun delicacies of New Iberia with Preserve Louisiana and host, creator and author of Meanwhile, Back at Café Du Monde… Life Stories about Food, Peggy Sweeney-McDonald, for its second Cultural & Architectural Tour to Cajun Land on Friday, Feb.16 to Sunday, Feb.18, 2018. For more information, visit Preserve Louisiana Tours here. Explore the history of Social Aid & Pleasure Clubs with the book's author and photographer, Karen Celestan and Eric Waters. Free for Preserve Louisiana members, $10 for guests. Join us and Louisiana State Museum Curator, Wayne Phillips, as we explore the history of gay carnival through the artifacts of the Louisiana State Museum collection. Past Kings and Queens of Apollo Baton Rouge will join us in full costume, we'll dance to the tunes of the Nick Abraham Quintet, and enjoy festive signature cocktails. Brides and brides-to-be, come crash this wedding reception at the Old Governors Mansion. Bring your entire entourage and enjoy food, music, vendors, interactive bridal games and a mock wedding to win some great prizes. You will also have a chance to win a Honeymoon from Nanette Hoyt of House of Travel. Cost before Jan. 24 is $10 and $15 at the door. Call 225-387-2464 for more information. During the Jim Crow era, the separation of facilities for blacks and whites led to the creation of African Americans schools, theaters, commercial buildings, and whole commercial districts. These separate spaces were vibrant centers of learning, social life, and commerce. Many times, the resulting architecture was a testament to excellence achieved in the face of social and economic barriers. When integration lifted the restrictions on other spaces, it brought a certain degree of obsolescence to these African American local landmarks. In the years since, many African American structures have been left vacant; their histories silenced behind boarded doors and windows. Join us for a lecture with Laura Blokker, Assistant Director and adjunct lecturer for the Tulane School of Architecture's Master of Preservation Studies program. Blokker will discuss the stories of some significant African American buildings and the roles of these building in the future of Louisiana. Refreshments will be served by Calandro's Fine Wines and Spirits at 6 p.m. and the lecture begins at 6:30 p.m. Active Preserve Louisiana members are FREE and non-member registration is $10. Preserve Louisiana's VIP Preview Party and Lost and Found Theatres of Louisiana Exhibition begins at 6:30 p.m.. The Gala Party will open for general admission at 7:30 p.m.
Spanning over a hundred years of Louisiana law and history, Jim Crow's Last Stand investigates the ways in which legal policies and patterns of incarceration contribute to a new form of racial inequality.